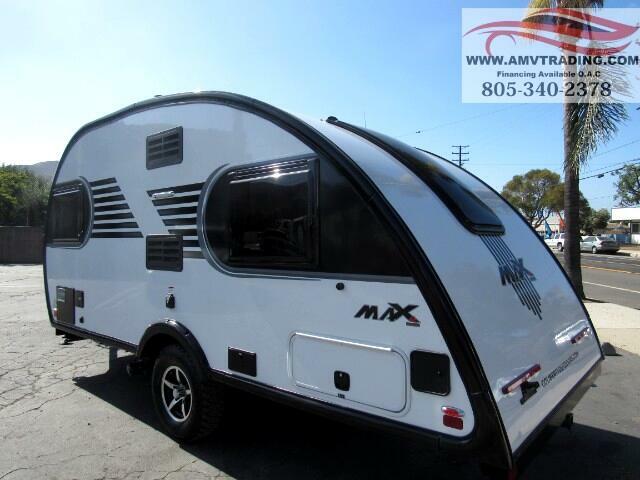 Weighing in at just 3,140 pounds, the Max comes standard with an abundance of deluxe features and a refined exterior style. With an impressive 6’7” interior height, the Max’s versatile cabin space incorporates lush materials to sleep and live comfortably, and thoughtful details – from ample storage and charging outlets to innovative entertainment features and LED lighting – the interior is an adventure all by itself. Light maple or dark walnut 100% hardwood cabinetry with dovetail construction. Factory Warranty on all NEW RV's. We also sell quality Pre owned RV's. All used RVs are sold as-is condition with NO warranty, however extended warranty is available on most vehicles. Problems do occur naturally, but you can be assured at the time of delivery, your RV is in working condition as described. By pick up of the RV we make sure and will show the customer that everything is working properly, we take all the time the customer needs to not only show you that everything is working properly but also that you know how to use the RV. Please be advised that no oral statements concerning any vehicle constitute a representation or warranty of the condition of said vehicle. There can be minor discrepancies or changes in the ads wording, pictures or items listed. Sales Tax: California buyer will be a charged Doc Fee, tax, title and license fee. California usage tax also applies lo sales to customers of all states/countries if the vehicle or motorhome is picked up in California. Some states have a reciprocal tax agreement with California, meaning you don’t have to pay taxes twice. We can do a state line delivery to Las Vegas, NV or Quartzsite, AZ for $ 600.00, and then state usage tax is not applicable. Taxes and Registration fees: Out of state buyers are responsible for all state, county, city taxes and fees, as well as title service fees in the state that the vehicle will be registered. State taxes and DMV fees will also be added to all California residents, and where applicable in other states.